Clearly I wasn’t looking after myself! And both times doctors told me that I needed to put myself first. But I didn’t really know what that meant. And I certainly didn’t think it was something I could do every day. I’ve always thought of self-care as an indulgent activity. Something luxurious. A massage, time at a day-spa, a weekend retreat. My life has shifted gears again recently and with my history of epic health scares, I now take self-care seriously. Every day. It IS possible! Not only am I running my own business, I’m also looking after my 3 year old and 5 month old baby. If it’s not resettling a baby, it could be trying to divert a toddler meltdown while you’re on the phone or distracting a young child while you’re attending a virtual meeting. Whatever the juggling act is for you, you need a self-care strategy. Something that doesn’t require trying to find time for a massage! Something that you can do in an instant. No matter where you are or what you’re doing. 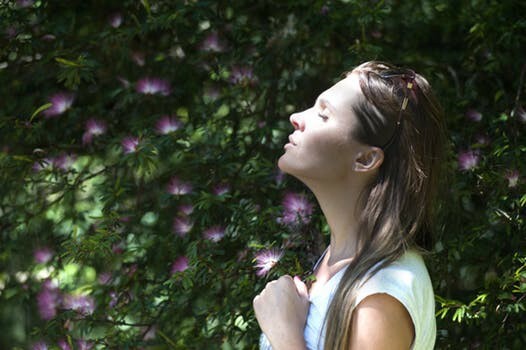 This type of breathing forces your body to relax at a physiological level. Once you start breathing in this way, your body has no choice but to listen and relax. You can use this self-care technique to start or end your day and have timers on your phone to remind you throughout your day. You can even practice it while breastfeeding your baby, the kids are screaming, before you meet a client or a deadline is looming. Learning to tap into the power of your breath? It really is the ultimate self-care strategy.